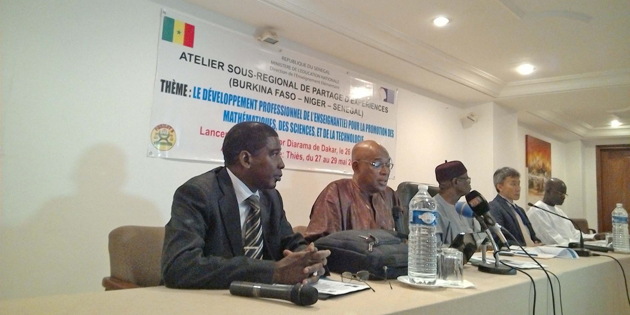 Senegal and the Japan International Cooperation Agency (JICA) organized a sub-regional workshop in May 2015 to finalize training modules being designed for the teaching of maths, science and technology in the countries of West Africa. The meeting also aimed to capitalize on the experience and initiatives of the different countries. It was intended to serve as a framework for sharing experience in the teaching and learning of maths, science and technology in the sub-region. The workshop took place over four days, during which the participants presented their own experiences, shared the results of studies on the main activities undertaken, pinpointed the challenges and visited classes and educational activities/resources centres to see how the initiatives proposed in these programmes are applied in practice. ADEA, which had been invited to this important meeting, was represented by the Coordinator of the Working Group on Non Formal Education (WGNFE), Prof. Ibrahima Bah-Lalya. Speaking on behalf of the Executive Secretary, Mrs Oley Dibba-Wadda, the Coordinator commented that ADEA highly valued the cooperation with Japan and with the education and training ministries of the different countries in the sub-region. The work being carried out under this programme is closely in tune with ADEA’s work, especially with regard to the sharing and exchange of experience on reinforcing maths and science teaching in the curricula of the African education systems. This is the reason why ADEA set up a Working Group specifically on this topic, and with the objective of improving mathematics and science education in Africa. In order to make the Group’s work more efficient, enable a better dissemination of best practice and adjustment to the challenges of the twenty-first century, the group has now become an Inter-Country Quality Node. 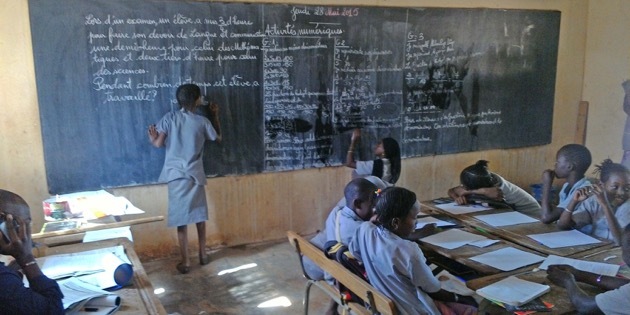 It also explains why ADEA’s Working Group on Non Formal Education is in the process of mapping the Koranic schools in Burkina Faso, Mali and Senegal, with the aim of completing the teaching programmes of these schools, which tend to have too small a proportion of maths and science teaching. The ADEA Working Group also conducts peer reviews in Congo and in Burkina Faso, with a view to enhancing the use of information and communication technologies in school administration as well as in the learning process. Wide-ranging and in-depth discussions took place in two Senegalese cities (Dakar and Thiès) covering a range of decisive issues including: (1) carefully planned institutionalisation to help perpetuate what has been achieved, (2) the role of learners in a reform which aims to move from a teaching-oriented approach to one focused on learning, (3) how to ensure that supervisors do not take the place of teachers in the class situation, (4) teaching modules to be prioritized, completed, supported and disseminated, (5) taking account of pre-school, post-primary and non formal education in a continuum covering the whole range of basic education, (6) how to scale up so that what has been achieved by the JICA-supported programmes can benefit all learners in the countries concerned, (7) how to make data from quantitative as well as qualitative research consistent in order to boost the programme on the ground, (8) how to guarantee appropriate funding, and (9) how to integrate the ASEI-PDSI approach in national education programmes and in teacher training schools and colleges. As a result of the debates and site visits, the following eight key recommendations were drawn up. Introduce ICT to help promote science and mathematics. The conclusions and recommendations of this exchange of experience workshop, organized by JICA and the Senegalese Ministry for Education, confirm the approach taken by the Japanese cooperation initiative to support education systems in Africa in developing science teaching as well as the strategic choices made by ADEA in favour of education that corresponds to the real needs of economic and societal development in Africa. The discussion initiated at Dakar and Thiès thanks to JICA and the Senegalese government will be continued at the forthcoming ADEA Triennale, due to take place in Morocco.